As a property owner, there is a great deal of pride that comes with ownership. Having something to call your own, having a place that you have worked hard to be able to afford, and in the practical sense, having an asset, that can help you during times of distress or financial hardship. Whether this is the reason or not, generally, as a homeowner, the time may come when you would like to sell your home. As we previously mentioned, maybe its due to financial burdens attached to ownership, or maybe you just feel its time to upgrade and get yourself into a larger home that better meets your current needs. When you are ready to sell your home, there are a number of different things you must be aware of, and considering that most people will only sell a home once or twice during their whole life, this information is often learned through experience, often “the hard way”. You only get one chance to make a first impression and your home only hits the market for that first time once. The best way to handle such a situation, is to acquire the services of a qualified real estate agent, and even more importantly, a real estate lawyer. Queens real estate attorney, Ryan Walsh, Esq. is one of the foremost legal professionals within the 5 boroughs, and he is proficient at any manner of real estate transaction. 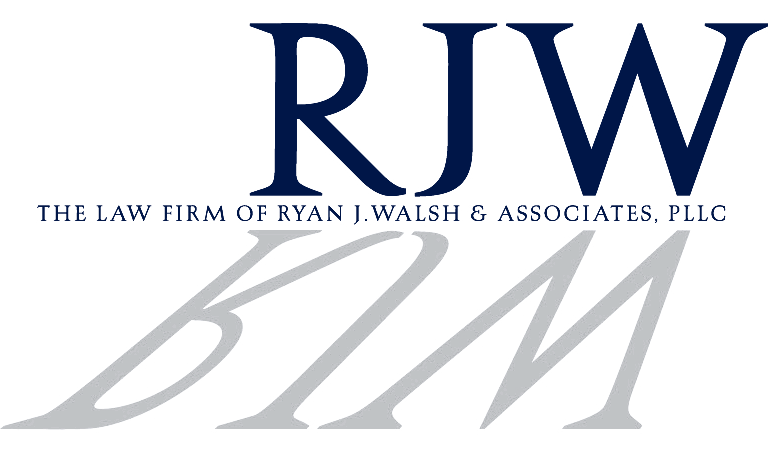 As the top Queens real estate attorney, Mr. Walsh and his team at Ryan J. Walsh & Associates, have helped countless individuals not only sell their home, but to find a new one, that better matches their needs, and financial abilities. Here are some important tips he offers his clients to ensure they are able to get the most out of the sale of their homes. One of the most important, and often overlooked tips from Queens real estate attorney, Ryan Walsh, is that emotions often get in the way. Sure, this house has been the home for you and your family for possibly years, and seen much of you and your family grow and change, but it is important to understand there is a reason why you are putting it on the market in the first place. Once you are able to separate your emotional attachment you will be able to maximize your return and look at the house for what it is, an asset, and understand that you are on a quest to purchase more assets throughout your life. According to Queens real estate attorney, Ryan Walsh, the contract is one of the most important facets of any real estate transaction, and in order to maximize exactly what you are getting in return for such a property, it is important that you prepare your paperwork way beforehand. And hire an agent and attorney who can help you ensure your paperwork covers every single one of your bases and there are no issues that may arise later on during the process. o Have everything completed and available at any time – deeds, mortgage info, bank info, rental/sales agreements, bills, tax info, and important contact information for the people who can help you with all these documents. o Ask your real estate attorney and consult an accountant as to any taxes that you may incur by selling your home. o Clear any violations, leans, and any outstanding permits. When selling a house, it is important to present the prospective buyers with a home that they can see themselves in. Try to limit the load of personal items, and de-clutter areas that are specific to you and your family. Get rid of odd furniture items keeping them free from walkways, and unpack closets, bookshelves, and drawers that hold junk you have collected over the years. Its time to realize that most of this stuff is unnecessary and buyers will not like to see it in their prospective home. Pack up items you want to take, that don’t look good in the house, try to throw out as much useless stuff as possible. Remove any window dressings, or wall accessories that stop the smooth flow of the home. Prospective buyers should be able to effortlessly move from room to room, unencumbered by obstacles. The house should be spick and span and shining throughout. Similar to the last step, your agent should be able to help you with both. Staging the home refers to the final touches, like keeping the grass cut, snow shoveled, and making the home appear inviting. Make sure the most amount of light (natural light) can get into the rooms. Keep the toilet flushed, seat down, bathroom clean as a whistle, with all private items tucked away tightly. Purchase fresh flowers, pillows, and simple rugs. You don’t have to spend a lot; cheap Ikea items will definitely work. In fact your home should look like one of the fake home setups in an Ikea showroom! Once its ready to go, call your agent or if you know a good photographer (with editing skills! ), have high-quality images taken of the place, inside and out. Make sure both your agent, and real estate lawyer have the images. Selling a home is an easy process when you know how its done and have the right team on your side. Find a good real estate lawyer, an agent, and make sure your family and friends can help you put things together. For help with the sales process, contact Ryan Walsh & Associates today.